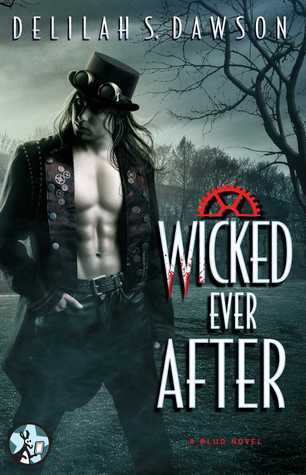 WICKED EVER AFTER by Delilah S. Dawson is the seventh and final installment in her highly praised steampunk-tinged “Blud” series of paranormal vampire romance, where romance returns to Tish and Criminy—but “happily ever after” is never ordinary in the world of Sang. Delilah S. Dawson is the author of Wicked After Midnight, Wicked As They Come, Wicked As She Wants, and three enovellas set in the enchanting land of Sang: The Mysterious Madam Morpho, The Peculiar Pets of Miss Pleasance, and The Damsel and the Daggerman. She also contributed a story to the star-studded urban fantasy anthology Carniepunk. Her novel for young adults, Servants of the Storm, is available from Simon Pulse. She lives with her family in Atlanta. 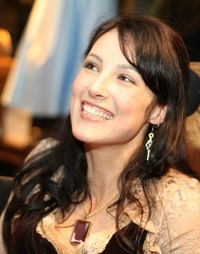 To keep up with the latest news about Delilah and her books, delilahsdawson.com.